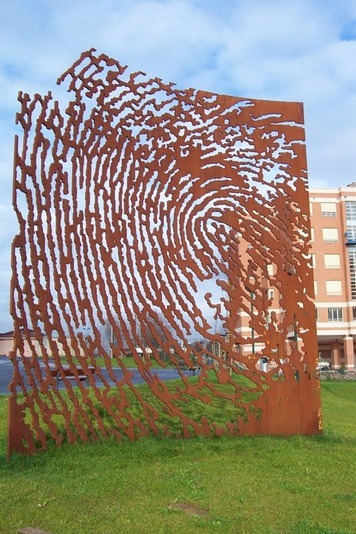 MONTEVIL WEST in GIJÓN, Spain. A new developing of the city gives an anonymous place without history, public art serves to give a human character. This is the first fingerprint and has refuge and protective sense.